January is drawing to a close and with it my time to find the planner I will use for all of 2011. That was the plan, at least. But as some of you have posted in the comments, the likelihood of the same planner working for me in daily life and through the major transition of an international move is slim. So I've decided not to worry about it. I don't want to use a different planner every month (like I've done for the past two years), but if I change planners a couple of times this year that's fine. When I get where I'm going I might find new and interesting planners to try, so I'm not going to deny myself the opportunity to try new ones. Also drawing to a close is my time here in Scotland, much sooner than I originally expected. Things are not finalized yet but I may have less than two months before I have to move away. This year is already developing much differently than I ever anticipated. How can I know what planner will work for me all year when my life is so unpredictable? I'm not going to try to force myself to stick with something. If I need to use a different planner, I will. Looking back through the selection of planners I've used during my time so far here in Scotland, some of them have worked better for me than others. But there's one that stands out from all the rest. My large Moleskine day per page diary. You may remember it failed as a planner. But while I was using it I captured some very special moments like: unexpectedly encountering Santa at the garden center (which left my kids so surprised they couldn't even come up with any gift requests); being snowed in at home so my husband hiked to the grocery store with a backpack on his back to buy food; and decorating our first Christmas tree as a family. For some reason I can't make myself write in my journal lately, so the large daily spaces in my Mole captured these events. Now I wish I'd used a large day per page diary the whole time I've been here. Of course when I arrived I had no idea my time here would be so short, and I needed a planner that could handle my busy weeks. But now that my time here is winding down, I know that the personal value of a record of those days is more important than any decreased functionality of using the day per page as a planner. So now I'm wondering if I should just use the large daily as my planner to capture all the memories I can. I have to decide what's more important to me: perfectly-functioning planning power, or ok planning with thorough record-keeping. Right now I'm still using my Filofax Deco, and it's working well for me because I'm writing in it list after list of what to buy, what to get rid of, what to pack where, etc. The small daily spaces are fine so far. And it has the huge advantage that when I move I can archive my Scotland-specific pages so I don't have irrelevant info in my planner all year. So I'm not actually in a hurry to abandon it. But I'm keeping an open mind about my large daily. I know if I were to use it, I would have a record of those little daily details that I wouldn't necessarily think of including in my journal (if I ever got around to writing in it). I could have my entire year contained permanently in the big bound book. Laurie I know it must be so unexpected but try to look at your upcoming move as yet another adventure in your very exciting life. I have enjoyed following your planner journey and you have introduced me to some amazing new planners. 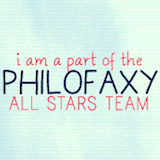 Once you have an internet connection and can still write Plannerisms and Philofaxy I will be content! I really hope I get to meet you before you move. Thanks Melissa and CB! To be completely honest, when this news came my way last week I felt like the floor dropped out from under me, and I still feel that way. Maybe when I come out of my haze and get into real planning mode I'll have a better idea of what planner will work better for me. But for the past week + I've hardly used a planner at all! My goals and plans for the year were completely erased and I'm starting over from scratch. I did order (and received today) the Filofax day per page diary insert so if I want to keep using my Filofax I can have the larger day spaces for more details each day. My choice at the moment is: flexibility or permanence? Of course this would be a non-issue if I could get disciplined about using my journal! I'm not sure what my barrier to using it is. Do they have 7 days in the week where you are going? Voyage in to the unknown..... !!! I have to say that I hope you stay with your filofax, as I love to read tips and inside views about those organisers. And your deco filofax is so great to look at. But of course you should choose what works for you and what makes you happy. Good luck with everything. Steve, probably 7 days in the week. ;) But I don't know what the work days are. In Nepal they were Sunday-Friday with only Saturday off. g-i-m I have to admit I'm loving my Filofax right now. Comfort factor! Try not to stress about planners and just go with whatever takes your fancy, even if it involves swapping around a little (or a lot). In many ways, using planners is a way of controlling a life that is out of control for various reasons. And deciding on one perfect one is out of the question for many of us, though we live in constant hope of planner Nirvana. I know I feel stress and anxiety when I am suffering from planner fail and I don't quite know what system to turn to when it feels like nothing works and my life is so busy I can't function ten minutes ahead without a list. My colleagues' heads spin sometimes because each time they see me I have a new system. If you don't want to journal, just let that slide too. When you are ready the will will return. I kept a daily journal for over twenty years and never looked at them once. Nowadays I write now and then in a Mead composition book with a leather cover I bought from Etsy but I have to say I never look back at them, even though at the time it seems important to catch the moment and keep it forever. I know I speak for many people who love your blog. It wouldn't be the same if you didn't explore and test things - think of it as public service and research! I would recommend flexibility over permanence though if you had asked me ten years ago I would have said permanence over flexibility. Thank you Janet! I too used to be an avid journaler but I never ever look at them. By contrast, I love to look back through my old planners. And I feel the need to record our lives, especially my kids and the things they say and do. And yes, I do get anxious when I suffer from Planner Fail, but I also enjoy trying new planners frequently so why deny myself that pleasure?? :) I LOVE the idea of thinking of it as "research." I am happy to be the Planner Explorer! About the Journalling: I had stopped writing for years! Just when the kids came and I had sooo much to remember, I just stopped. But for the last year I'm on it again. I just lowered the treshold. Instead of musings and detailed discussions with myself, I started recording the daily events. Pretty matter-of-fact, and then over time I was ready to add some emotions to the "soup". I may be totally off here, but I have made the experience, that I cannot write about feelings, when I'm not ready to admit that I have them. E.g. when I'm utterly worried about something, I often cannot write about it. Because that would make it "real" and not just a mad train of thoughts inside my head. Sort of "it ain't real until I've put it on paper". Jotje you've absolutely nailed it there. It's so much easier mentally to write the facts of what happened (which is what I usually write in my day per page planner) than my emotions and how I feel about it (which is what I write in a non-dated journal). Another thing is that I want to write things that I enjoy reading again later, like the cute things my kids did and said, to remember the happy times. I don't want to re-read about how stressed out I was. Not only that but when I've thought it all through and gotten through all those stages of thought and emotion, I want to put it behind me and not re-live it! Anyway, what if you used your deco as your "ahead" planner, and your beloved large daily for recording little mementos? That way, you won't feel obligated to journal, but you can still record these moments? p.s. Try to look at the move as a positive- I have lived in two cities that are 30 miles apart my whole life! What I wouldn't give to be able to travel the world... it's all perspective! I figured you had thought of it!!! Wow, I can see that side of the coin as well. I guess the grass always looks greener on the other side (so cliche). Well, I hope that wherever you end up is even better than where you are now AND you get to stay there a long time!